Chlorophyll, the phytochemical responsible for the deep, rich color of dark leafy greens, is the lifeblood of plants. This vitally important nutrient is necessary for photosynthesis to occur. And while plants couldn’t survive without it, more and more evidence suggests that we humans should be consuming more of it. Here are eight reasons you why you should eat your leafy greens today. Antioxidant powerhouse. Antioxidants are key fighters of oxidative damage. Over time, free radicals wreak havoc on the body and lead to a number of different degenerative diseases. Since we are exposed to millions of free radicals on a daily basis, the only way to combat them is to consume an antioxidant-rich diet. Research has shown that chlorophyll protects against free radical damage at the cellular level, which in turn can protect the body from developing the degenerative effects of oxidative stress over time. Blood booster. Chlorophyll closely resembles red blood cells. On a molecular level, red blood cells and chlorophyll are virtually identical except for one atom. Chlorophyll helps to replenish our red blood cell count by providing a continuous boost of energy to the bloodstream. When our red blood cell count is high, more oxygen can circulate throughout the body, which is key for the proper health and function of the bodily systems. Hunger suppressant. A 2013 study found that meals containing chlorophyll-rich foods may suppress hunger. When 20 moderately overweight women were given test meals, they reported feeling less hungry after consuming the meals containing chlorophyll, as compared to the meals without chlorophyll. Their blood sugar levels were also reported to be more consistent after the chlorophyll-rich meals. Cleansing capabilities. Our bodies are bombarded with toxins on a regular basis, which over time can lead to numerous diseases and conditions. Chlorophyll has the ability to bind with many of these toxins and dangerous metals and remove them from the body. When volunteers were exposed to the known carcinogen aflatoxin and then fed a meal, the volunteers whose meals included a supplement of chlorophyll exhibited a 95 percent elimination of the carcinogen in 24 hours. Combats odors. Bad breath and body odor are an embarrassing part of human nature, and are often caused by internal issues rather than what you just had for lunch. Chlorophyll can combat embarrassing odors thanks to antibacterial capabilities that target the internal source of the problem. Cancer prevention. While more research needs to be done before chlorophyll can be labeled as a cancer cure, a recent study found that men who consumed less dietary chlorophyll had a higher risk for developing colon cancer. And since many cancers are the product of toxin exposure and oxidative damage, the antioxidant capabilities of chlorophyll can protect against numerous types of cancer throughout the body. Counteracts diet dilemmas. When you just can’t say no to those greasy fried foods, snacking on some chlorophyll-rich leafy greens may just help counteract your poor diet choices. Fried foods contain chemicals that can damage the lining of the colon and up your risk for developing colon cancer. In a recent study, participants who consumed fried foods along with chlorophyll-rich foods exhibited less colon cell damage than those who stuck with just the fried food meal. A natural healer. Chlorophyll has long been touted for its healing properties, both internal and external. Aside from supplying your body with numerous antioxidants to combat internal stresses, when applied topically to wounds, chlorophyll decreases the healing time and reduces the risk of infection, thanks to its antibacterial and antifungal properties. While you can get chlorophyll from leafy greens, three of the absolute best sources are chlorella, spirulina and marine phytoplankton. Chlorella: Chlorella, a common single-celled green algae, is one of the most studied supplements of our day. A powerful detoxifier, chlorella binds to heavy metals in the body but does not bind to essential minerals that the body needs, flushing out the toxins and leaving the nutrients in the body intact. Chlorella will also boost your immune system, balance pH, promote and repair tissues and improve focus and memory. 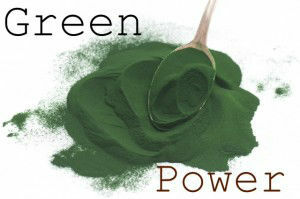 Spirulina: Spirulina is touted as a perfect food that could feed the world. It is a complete protein that contains approximately 60 percent protein by weight – that is about 3 times as much as ground meat. Marine phytoplankton: Marine phytoplankton is similar to chlorella and spirulina, which have been around for a very long time. Phytoplankton contains resveratrol, which has been shown to reverse aging, improve energy levels, detoxify the body, improve allergies, improve brain function and promote weight loss. 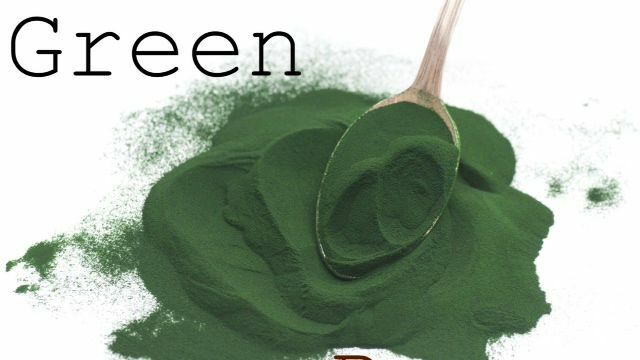 Research is touting this micro-algae, which is grown in the ocean and contains every known mineral and all of the amino acids our bodies need to gain optimal health. It is also a source of omega-3’s, even more powerful than the popular, well-known sources like fish or flax oil. We like to get our marine phytoplankton from Oceans Alive. Oceans Alive Marine Phytoplankton is carefully grown in perfect, pristine conditions in a photo bioreactor. It takes 90 days of careful attention to every detail to complete a full growing cycle. No matter where you get your chlorophyll from, be sure that it is as pure as possible. Your body will thank you! Hey Buddy!, I found this information for you: "8 Reasons Why You Need Chlorophyll". Here is the website link: https://www.thealternativedaily.com/8-reasons-need-chlorophyll/. Thank you.